Thursday Thunder presented by Papa John's Pizza tests every aspect of a driver's mettle throughout the 10 week season each year. The flat quarter-mile track is a challenge for drivers of all ages and can be especially tricky for the newest drivers to the series. "It makes it difficult being a flat track," said Ken Ragan, Legends of Georgia director. "Just being able to pass somebody, because most tracks where you have a lot of opportunities to pass you can do it by running two cars side by side but in Atlanta you almost get a one groove track on the inside lane. You see some racing on the outside, but it comes with experience." With little to no experience behind the wheel of a race car, the Beginner Bandolero class provides a training ground for drivers. Each week, competitors in the class prepare for the grueling challenges that await - including completing every lap without incident. "Just try to be consistent each week," said Steven Brown of Acworth, father of eight year old Lee Brown who has competed in each beginner bandolero race this season. "Once we get the consistency we plan on trying to move him out of the rookie class." The Beginner Bandolero class is a stepping stone for drivers allowing them much needed seat time before advancing to a competitive class. With only a trophy awarded to the winner each week, points are not awarded and competitors in the division are not fighting for a season championship. "You've got to let them have some level of success," said Ragan. 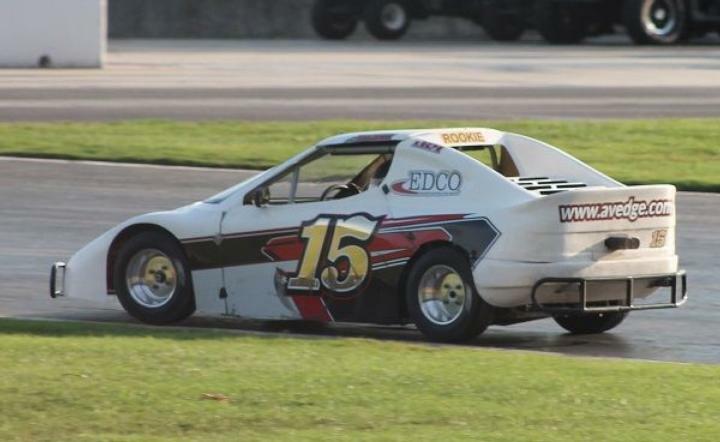 "We have drivers that will get a first place trophy and win a feature race in beginner bandolero division that if they were racing in the class they would eventually move up to, they would be lucky to finish a race." With confidence and seat time behind the wheel attained, drivers between eight and 12 will advance to the Bandits division while those drivers older than 12 will advance to the GRT Racing Driver Development Outlaws division. "The only two tracks around the country that have a beginner bandolero class are Atlanta and Charlotte," said Ragan. "And it doesn't surprise me that those are the two markets that have the most new drivers coming in every year." The Beginner Bandolero class is the perfect place for any aspiring racer to jump behind the wheel and see if they have what it takes to compete. "It's very important that you have a beginner class, said Ragan. "Some drivers will take two, three or four races to move up while others take eight, ten, twelve or fourteen races; but at least they can get the experience they need prior to moving in their class they will eventually go into." More than 100 drivers have mastered the "Thunder Ring" and have advanced through the ranks to a NASCAR national touring series. NASCAR Monster Energy Cup Series drivers Joey Logano, Chase Elliott, Bubba Wallace and David Ragan all competed in a bandolero at Thursday Thunder before advancing through the ranks. The 2018 season continues with week 7 action this Thursday, July 12 and will run each Thursday night through July 26, before wrapping up with a special-edition Saturday Championship Night on Aug. 4.